Hello, lovely people! Just wanted to share this beautiful roller set I did last week! 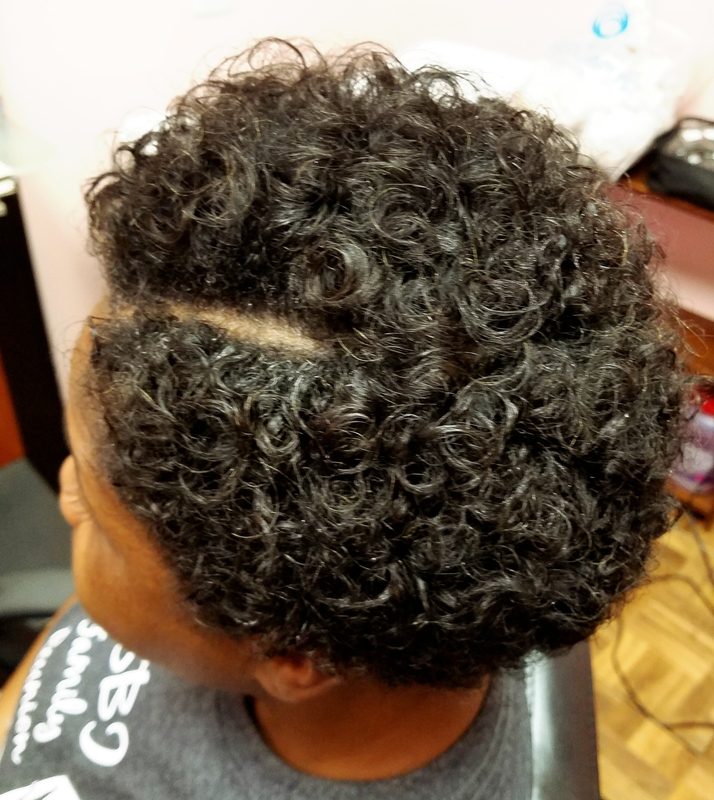 This client wears a tapered haircut and usually gets it pressed. She wanted to try a style that would make it through the heat and unpredictable rain so we did this lovely rod set! She only had to sit under the dryer for about 45-50 minutes and has a lovely set that will last her almost up to 2 weeks! I used a combination of (from the bottom up) yellow, pink, grey and purple rods and Kera Care setting lotion. After rods were removed, I separated the curls with end of a rat tail comb! Simple but beautiful! Hope you like this cute style! Thanks for stopping by! Stay Stylish in the Summer with Flat Twists and Rod Sets! Stay stylish this summer and beat the heat with these lovely flat twist updos combined with rod sets! These two ladies are very active and were looking for a low-maintenance updo style that they could wear for a week or two. This style is simply a large flat twist and rod set combo. The hair was parted at the crown and a spiral set was created with a combination of the pink and grey perm rods. I used Kera Care setting lotion. She sat under the hooded dryer for about 45-60 minutes for the curls to dry (she has thick hair!). 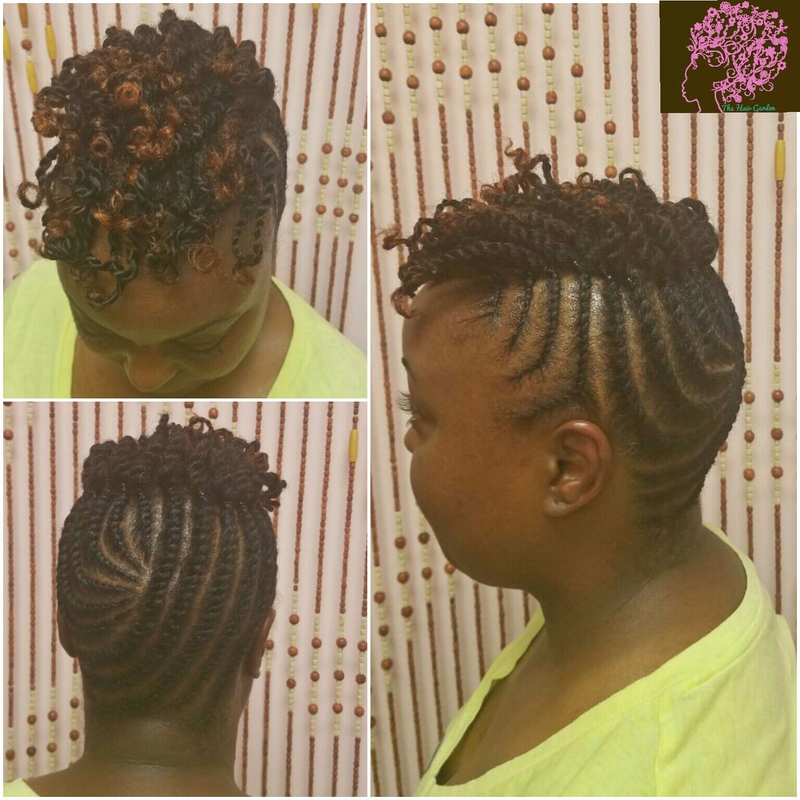 This style was created similarly but with smaller flat twists. The free hair at the crown was two-strand twisted and then the ends were set with the pink perm rods. She only had to sit under the dryer for about 10 minutes for the curls on the end to set! I would love to see your version of this style! Thanks for stopping by! 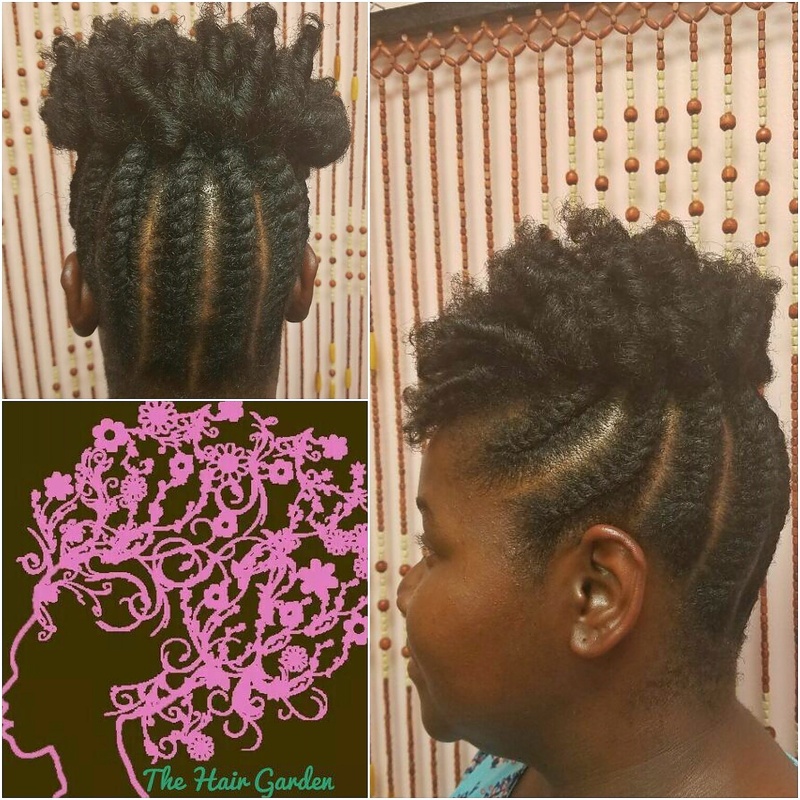 Author AphropuphsPosted on July 24, 2016 Categories Hair Care, Natural HairstylesTags afro hair styles, afro updo, flat twist styles, flat twist updo, flat twists and perm rod set, natural hair, natural hair styles, natural hair updo, perm rod set natural hairLeave a comment on Stay Stylish in the Summer with Flat Twists and Rod Sets!